Where: Bridgestone Arena  Nashville, Tenn.
NASHVILLE  Arkansas, winners of three straight and seeded ninth, will face eighth-seed Florida in the teams opening game of the 2019 SEC Tournament on Thursday (Mar. 14) at Noon. Tip-off at Nashvilles Bridgestone Arena is set for Noon and the game will be telecast on the SEC Network. This will be the 37th meeting between Arkansas and Florida and the second meeting this season. The Gators own a 24-12 advantage in the series, all of which have come since Arkansas joined the SEC for the 1991-92 season. Florida also holds a 4-2 advantage over the Razorbacks in games played at the SEC Tournament. However, Arkansas won the last time they met at the SEC Tournament, an 80-72 victory last year. 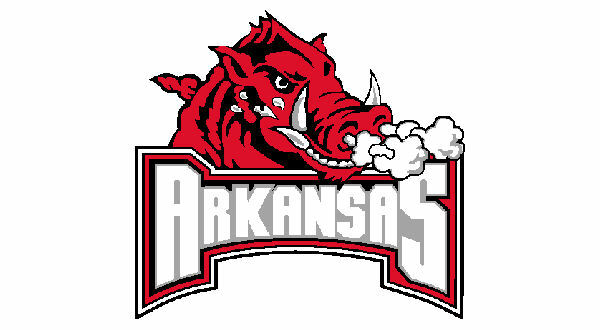 The two teams previously met on Jan. 9, which was Arkansas SEC home opener. Mason Jones scored a career-high 30 points and played a key role in a 15-2 run late in the game to get the Razorbacks to within two (53-51) with 1:02 left, but Florida made four free throws inside the final 12 seconds to get a 57-51 victory. Arkansas was down 15 (51-36) with 6:11 left before Jones spurred a 15-2 run by scoring 11 points (six free throws, a jumper and a 3-pointer) to trim the Razorbacks deficit to two, 53-51, with 1:02 left. On the ensuing possession, Arkansas defense got a stop on the defensive end as Daniel Gafford pulled down his 12th rebound of the contest. The Razorbacks then had two chances to tie the game, but Jones jumper missed with 24 seconds left and Adrio Baileys put-back rimmed out. Arkansas is 5-6 all-time at Bridgestone Arena. Arkansas has reached the final two of the last three times the SEC Tournament was at Bridgestone (2015 and 2017). SEC Tournaments (2015, 2017 and 2018). In 27 previous SEC Tournaments, Arkansas is 26-26, won the 2000 championship, has reached seven finals and 14 semifinals.